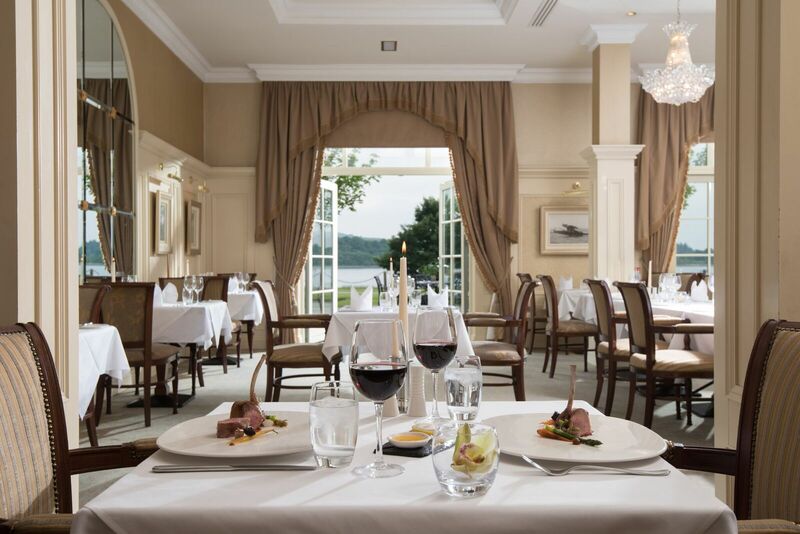 Northern Ireland’s first 3 AA Rosette hotel restaurant, The Catalina Restaurant is the epitome of sumptuous dining. The seasonal menus at The Catalina Restaurant feature both classic and contemporary dishes with a strong allegiance to local produce. Executive Chef Noel McMeel and his culinary team are delighted to present exclusive menus with dishes created using the very best seasonal ingredients which are both locally sourced and traceable. Local supplier examples include: Kettyle Irish Foods, Thornhill Duck, Cavanagh Eggs, Keenan Seafood, Baronscourt Venison, O’Doherty’s Meat, Tedfords Pork, Abernathy Butter, Limavady Broighter Gold Rapeseed Oil. Commanding spectacular views of Castle Hume Lough and the championship Faldo Course, The Catalina Restaurant setting is complimented by luxury interiors which feature glass chandeliers and vaulted ceilings. Paying homage to its name, diners will see featured photos of the iconic World War II seaplanes that were based on the lough within the restaurant. With quality local food and wines served by a team of knowledgeable and engaging waiting staff you are set to enjoy a dining experience like no other at The Catalina Restaurant. Lovely meal, but expensive for what it was. Although we were the only couple booked into the restaurant on a Sunday evening we had the full Catalina Fine Dining experience. Amazing food tastes & fantastic staff who knew their jobs inside out. We had excellent service from Catherine and all the staff. The food was scrumptious from starter to deserts. We loved the beef it was tender and cooked to perfection Thank you to the chefs . TheYorkshire pudding was the best weve ever had and the Pavola was the perfect end to the perfect meal. Thank you to all the staff at the Catalina restaurant  for making this one of the best birthday lunches Ive had with my family . I loved the decor and Chandeliers too a very relaxing meal in a beautiful setting. Had an amazing time at the resort, my girlfriend loved her birthday treat. There were a few gripes, like how our room had to be changed because it wasnt a double bed room, how I booked a massage for two in a couples room and we ended up being separated, how I was charged for the spa treatment even though it was included in my package(but later refunded thankfully) and how, even though our food was phenomenal (one of the best meals I’ve had in a very long time), there was a mix up with our mains and also the waitress did forget to pop our desserts through the till so we were waiting a wee while for them. A culinary highlight of the year, we love coming here for dinner. Service is exceptional and the food is top class. Already look forward to our next visit! The Catalina restaurant is a little too formal for me. 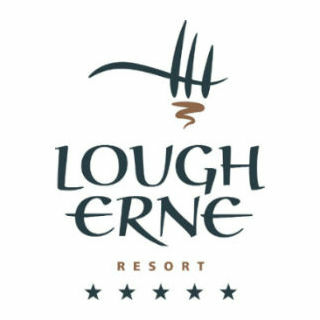 Really enjoyed our night in Lough Erne. Great service from the moment we arrived. Food in the Catalina restaurant was outstanding and the breakfast the next morning couldn’t have been better. Great value for money and will definitely be back! The food was absolutely faultless, and the presentation was gorgeous. The waiters were friendly and attentive. We especially loved chatting to the French sommelier about wine and France and New York - what a lovey guy.